"I think everything has been said about this. 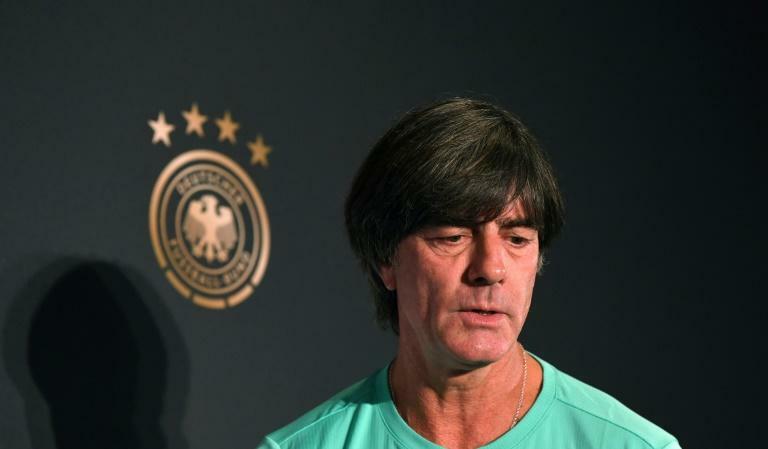 When a player announces his resignation like that, you don't pick him for the squad eight or nine weeks later," Loew said at a press conference on Wednesday ahead of Germany's UEFA Nations League game against World Cup winners France. "Players who have resigned will not have a role to play in future." Ozil, capped 92 times, announced his retirement from international football in the wake of Germany's disastrous World Cup campaign, with his statement accusing the German FA (DFB) president, Reinhard Grindel, of racism. "Mesut and I enjoyed a lot of success together over the years. I have tried several times to reach him on the phone, without any luck, and I will continue to try and make contact with him in future," he said. Germany are desperate to put their summertime blues behind them on Thursday when they host the French -- the team who succeeded them as World Cup winners -- in Munich. The start of the brand new Nations League has thrown up a mouthwatering match for Loew's side, which will retain a core of players who so badly underperformed in Russia. "We are facing a new beginning. I feel that there is a positive impatience among the players to make amends for the summer," Loew said at the Allianz Arena. "He has done a lot of thinking since the World Cup," midfielder Toni Kroos said of his coach. "From our training sessions, I feel like we are changing one or two things, and I hope that people see that tomorrow (Thursday)." Manchester City's Leroy Sane also returns after his controversial exclusion from the World Cup squad. The Germany boss is also expected to make tactical changes, having admitted last week that a focus on dominant possession football was his "biggest mistake" at the World Cup. "We have been very successful with possession football in recent years, and we won't give up on that vision," said Loew on Wednesday, although he conceded that Germany needed to adjust their style. "Against teams like France, we don't need to have 70 percent of possession. We need to make sure we get the right balance and focus a bit more on the defence." In his open appraisal of the World Cup disaster last week, Loew also identified a lack of motivation and questions over the team's mentality. "We didn't have the same incredible team spirit that we had in 2014," admitted Loew. "We weren't a tight-knit group from the word go." "Of course we have guys with different interests, but there are no rifts," insisted Mueller on Tuesday, adding that the game against France was an opportunity to put such talk to bed. Loew, meanwhile, heaped praise on Thursday's opponents, who beat Germany in the Euro 2016 semi-finals. "France have been the best team in the world over the last two or three years. They have a incredible balance, are strong in defence and attack and have a lot of quality in every position."